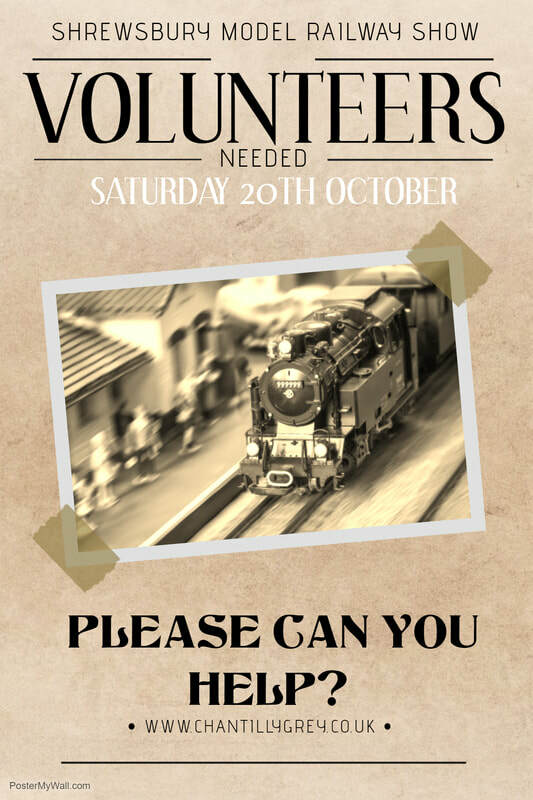 We are looking for an amazing team of volunteers for Shrewsbury Railway Show on Saturday 20th October 2018. You will be given tickets for the event as well as a lunch voucher for you and your family (up to 4 people) for your kind efforts. All volunteers will also be entered an exclusive raffle and the winner will be revealed on the day. There are also volunteer opportunities in the lead up to the event, so please sign up and we’ll be in touch imminently to discuss what role might suit you. Carparking Stewards to direct Exhibitors, Traders and the Public. Admission Stewards to sell entry and raffle tickets on the door. A helping hand to aid exhibitors of layouts and traders etc to set up. We would like to thank you in advance for the work and effort you put in to what will be our busiest and most spectacular Railway Show in Shrewsbury. It would not be possible without your help. We are delighted to have your help, but we do not wish to risk your health. If you have a medical condition that prevents you from undertaking certain tasks, please let us know. This information will be treated in the strictest of confidence.